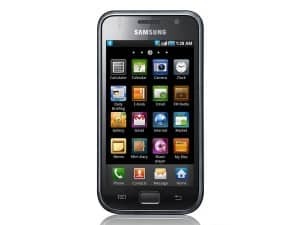 Samsung Galaxy S GT-I9000, the first of the Galaxy S series has sold in millions of copies, even though it still remains at Android 2.3.6. However, developers haven’t forget this iconic device and are maintaining support for it by developing Custom Roms that work on it. This time, the CyanogenMod team has created a stable version of CM 10.1 M1, that can be used daily with Android 4.2.1 as base. This way you can have the latest Android on your Galaxy S.
The CyanogenMod Team was recently developing CM 10.1 nightly for Samsung Galaxy S GT-I9000, and now it has launched their first stable version for Samsung Galaxy S GT-I9000, CM 10.1 M-Series. Luckily, Samsung Galaxy S GT-I9000 is one of the devices that can get the stable build. CM 10.1 M-series for Samsung Galaxy S GT-I9000 is based on Android 4.2 Jelly Bean. For the installation we will use cm-10.1-20130121-EXPERIMENTAL-galaxysmtd-M1.zip which is a zip file and CWM Recovery. Important!! Installing CM 10.1 M Series (cm-10.1-20130121-EXPERIMENTAL-galaxysmtd-M1.zip) on Samsung Galaxy S GT-I9000 means you are installing a Custom ROM on your device. Here is a list with the risks involving the installation of custom ROMs on your Samsung Galaxy S GT-I9000. Congratulations! Now you should have CM 10.1 M Series installed on your Samsung Galaxy S GT-I9000.